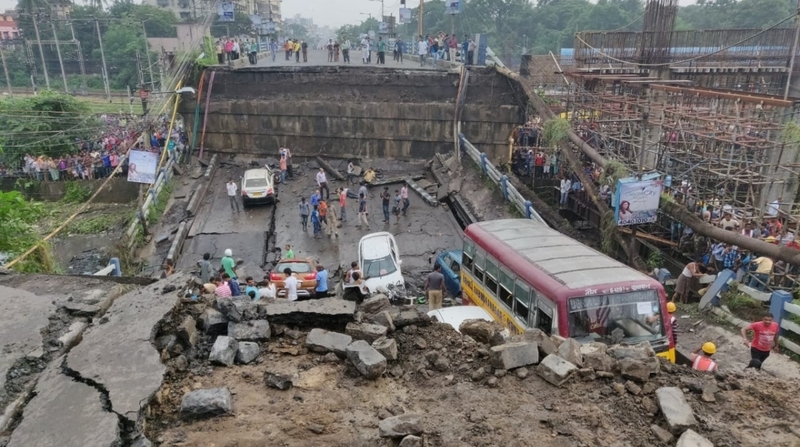 The Majerhat Bridge in Kolkata’s Alipore locality collapsed on Tuesday following heavy rains in the city. 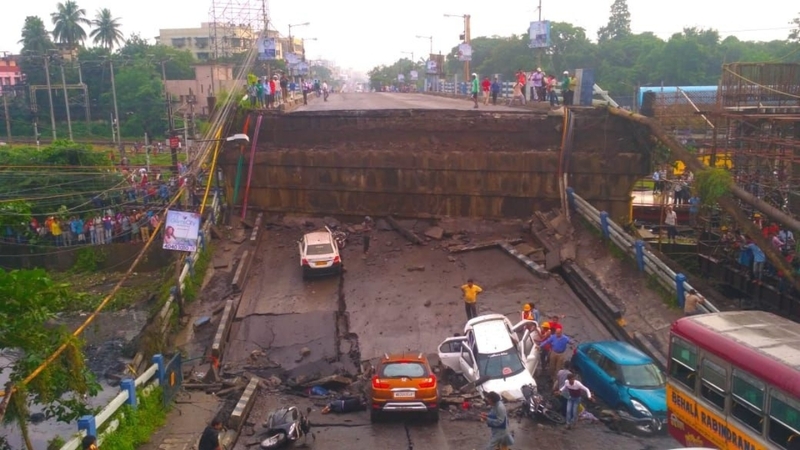 The Majerhat Bridge in Kolkata’s Alipore locality collapsed on Tuesday following heavy rains in the city. Cars and a city bus were seen trapped on the bridge as panicked locals rushed to the site to help save the lives of those feared trapped underneath the debris. It is not clear as to how many people are trapped but eyewitnesses said that there could be many given the busy location and the time of the collapse which was 4.30 pm. Army ambulances were seen rushing to the site to help in the rescue operations. It runs over the suburban railway network, which is the lifeline of the city. 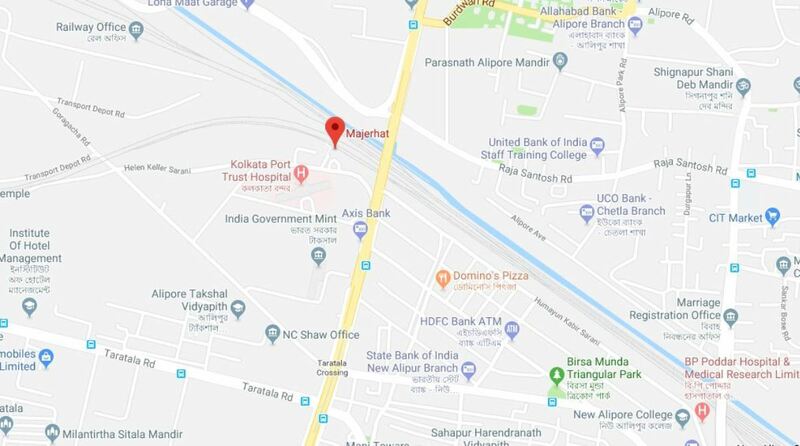 The collapse of the bridge is likely to affect railway operations though the portion that has collapsed does not run over the railway lines but a canal adjacent to them. Rescuers were seen trying to reach underneath the flyover to find those feared trapped. Electric-cutters and other equipment were pressed into service as ambulances were kept on standby to ferry the injured to the hospital. Chief Minister Mamata Banerjee, who is currently in Darjeeling, said that she has received information from the rescue team on ground. Urban Development Minister Firhad Hakim, who rushed to the site immediately after receiving information, said that six people have been sent to the hospital. “There is no casualty. But I can confirm after rescue operations are over,” Hakim said. When asked if the Army had been called in, the Minister said that all rescue operations are being conducted by locals, police and other authorities. “The Army has not been called in,” he claimed even though visuals showed Army vehicles and officers at the site. According to reports, at least three teams of the Indian Army are on standby at the site of the collapse. The minister said that the Majherhat Bridge was built 40 years ago.